Fitness trackers have come a heck of a long way in a relatively short amount of time, especially when you compare what we have now, with those questionable clip-on pedometers that were extremely inaccurate and unreliable. Whilst fitness trackers are very popular, and if you choose right, very reliable and accurate, sadly, they do tend to be expensive. What’s more, many of them are lacking when it comes to sleep tracking and logging. Sleep is a fundamental part of life, and from a health and fitness perspective, it is extremely important. A good night of quality sleep can make a world of difference to how you feel and function the next morning, so to help make life that little bit easier, here’s a look at 3 quality fitness trackers for sleep tracking, that retail for less than $130. First up we’ll take a look at the FitBit Charge HR. When you hear the words‘fitness tracker’ you instantly think of FitBit, and rightfully so, as FitBit have revolutionised the fitness tracking market. The fitness tracker is a wearable wristband that tracks and logs heart rates, it allows you to personalise goals and workouts, it features caller ID functions, and it allows the user to automatically track and log their sleep, and the quality of their sleep, incredibly accurate. The device tracks REM sleep, it will track every single movement you make when you sleep, and it will allow you to go through the results the next day, and see exactly how well you slept. It features a silent alarm, an OLED display, exercise and activity tracking, and much more besides, and all for less than 130 bucks. Next up we have the Jawbone UP4, which is another hugely popular fitness tracker, especially for those who are watching their spending. This device really is high-tech, in every sense of the word, as users can connect it to their American Express card and can use it to make payments whilst out and about. It tracks and logs heart health, it has an in-built smart coach, it wirelessly syncs to computers and other smart devices, and it is fantastic for logging and tracking sleep. The device features an advanced smart sleep tracking function which tracks REM sleep, deep sleep, and light sleep, allowing users to get a better idea of how well they are sleeping. The device knows when you go to bed and will immediately log your sleep incredibly accurately. And finally, last on our list we have the Moov Now fitness tracker. 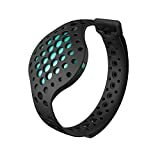 This device tracks movement, it provides motivation for the user, it features real-time audio fitness coaching, and it features a six month battery lifespan. It is dirt, sweat, and waterproof, it requires no charging, it tracks and logs active minutes, plus it too has the ability to track and log sleep quality automatically, allowing users to get a better understanding of just how well rested they are and just how good or bad, their quality of sleep is for each night. For less than $130 you can get your hands on quality fitness trackers that will monitor both your general activity, and quality of sleep. The only way you can the most out of your sleep monitoring fitness tracker is to use it consistently. By strapping it on nightly, you will have a better understanding of your sleeping patterns and how best to adjust your lifestyle for a solid night’s snooze. Jason Oh writes for http://bestfitnesswatches.mywebpal.com/ . If you’re looking to buy a fitness watch with sleep monitoring, you can get a free7 page guide on “How to Find The Best Fitness Trackers – Everything You Must Know” that will guide you in finding the best fitness watch to suit your lifestyle and requirements.